We have significant experience in process modelling, specifically the modelling of new and developing technologies. This allows us to predict the behaviour of chemical, physical and other technical processes and unit operations in a simulated environment, providing insight into how a process will behave in reality. 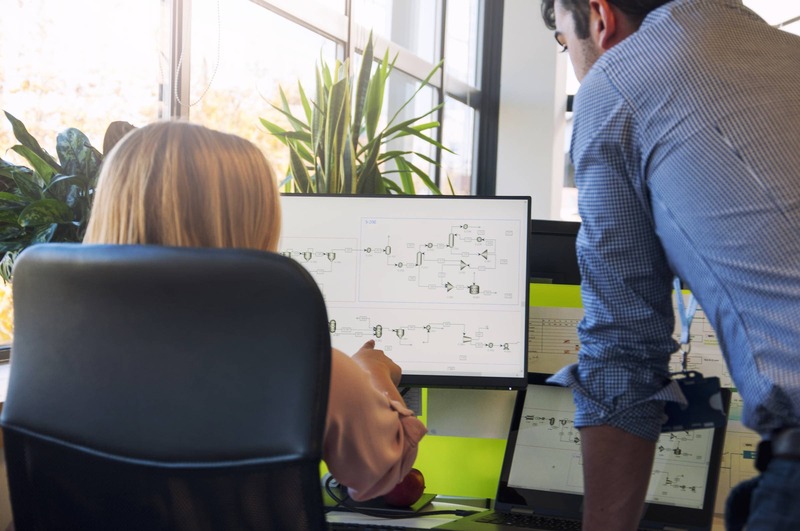 Process Modelling is the foundational step for further process development, whether it is to demonstrate scalability, repeatability or applicability, or to de-bottleneck, improve and optimise the existing processes. The diversity in engineering experience within our team allows us to offer comprehensive solutions in terms of safety and performance. Our close working relationships with major research institutes make us the number one choice for innovative low-carbon technologies at all scales. We are experts in energy and exergy analysis, identifying hotspots in different industrial processes and systems to decrease and optimise waste production, emissions and energy requirements.